Your schedule can be severely disrupted if you are leaving your home or office and suddenly realize that your garage door has malfunctioned. This will not only hamper your daily schedule but if you leave it unattended, it can lead to serious injuries to you and your property. The worst thing you can do at this point is trying to repair the door yourself. This will not only lead to further damage to the door but there is no guarantee even if you repair the door, the problem won’t back again to haunt you in the future. 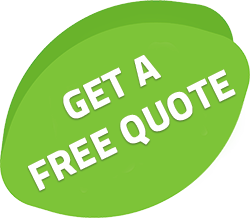 That is why you need to contact a garage door service right away to tackle any repairs that your garage door needs. 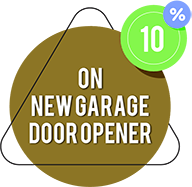 Residents of the Portland, OR area have been trusting Two Guys Garage Doorsfor years and you too can join the long list of satisfied clients. Garage doors can be damaged due to a variety of reasons. Due to constant the door may stop functioning properly or due to an accident, the door may suffer damage or the door may be damaged due to a break – in attempt. The reasons are aplenty and you have to be prepared for any kind of possibility. 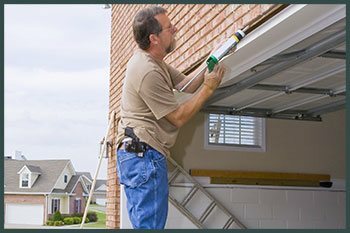 You can contact us for any kind of repairs, any time of the day as we are one of the very few reliable 24 - hour garage door services in Portland. 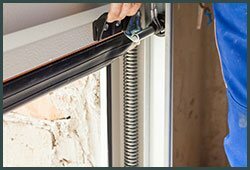 We have repaired broken springs, faulty cables, damaged doors, faulty garage door openers and much more.